Alex M. Clark recently posted on his blog this super-fun image! 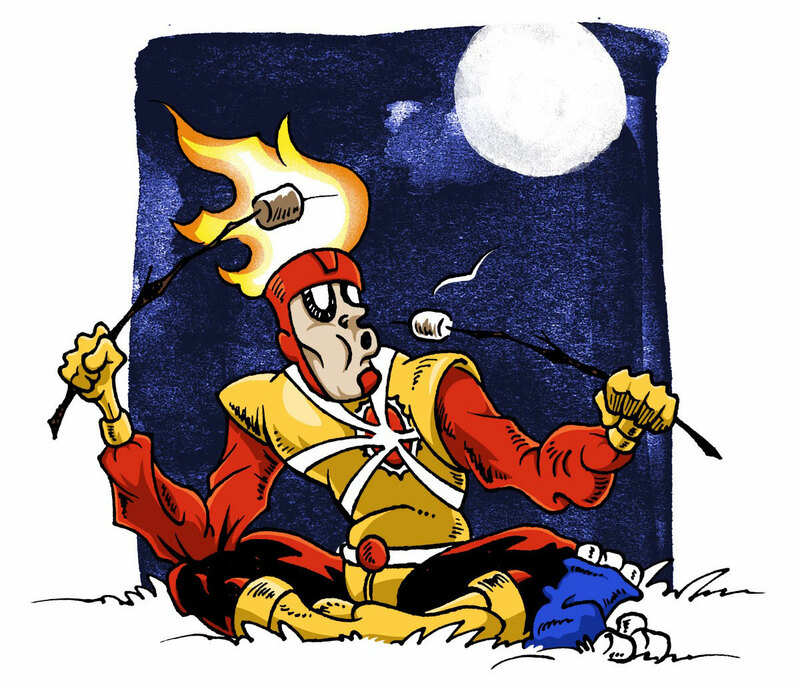 It’s Firestorm cooking marshmallows with his own hair! This cracks me up! Check out Alex M. Clark on his own blog and Twitter. Support Firestorm (and Alex M. Clark)! Fan the flame!